A podcasting community driven show focused on growing your audience, getting more listeners, promoting your podcast through social media, creating a podcast strategy and talking to industry experts PLUS insight into Libsyn the premier company that provides everything for your podcast needs: publishing tools, media hosting and delivery, RSS for iTunes, a Web Site, Stats, Advertising Programs, Premium Content and Apps for Apple, Android and Windows 8. 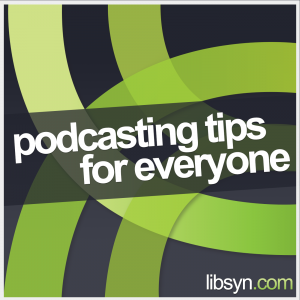 Dive deep into what Libsyn has to offer to make podcasting easy. Taking it beyond the How-To Podcast to KEEP you Podcasting!